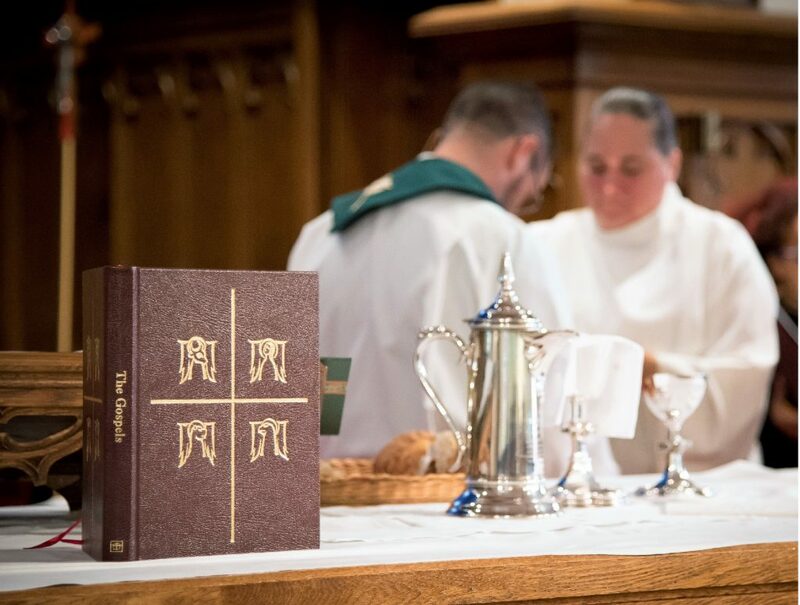 Our Sunday morning worshipping community is lively and vibrant, finding beauty and depth in traditional Anglican liturgy, and grounded in gathered prayer, the reading of scripture, and the celebration of the Eucharist. Musically, we draw together piano with a rotation of accompanists on cello, violin, flute, harp and more, as we sing a variety of Anglican hymns along with music from a range of other Christian traditions. Members of the congregation are invited to participate fully in the service, singing as part of the congregational chorus, reading the scriptures, leading prayer, and assisting in the distribution of communion. The Water’s Edge begins at 4:00pm on Sunday evenings, where a gifted team of musicians lead us on piano, guitar, drums, and lead vocals. There is no doubt that we treasure our Anglican tradition, but we try to keep things relatively simple and dressed-down on Sunday evenings. Typically we tuck away things like processions and robes to focus on the simple stuff: on meeting Christ in scripture read, music sung, and the bread and wine shared at the Lord’s Table. Following worship each week our community sits down to eat together. Certain members of the community prepare the food, but all of us are invited to the table. There we get to break bread, serve each other, share our lives, and muse about living in the wake of what God has given us. This quiet communion service is from the Book of Common Prayer and is followed by tea, treats, and fellowship in the narthex. 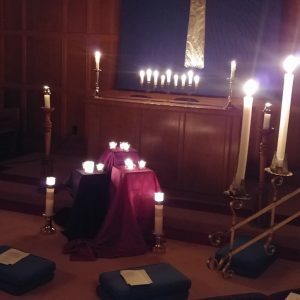 We have switched to offering this service three times a year, marking some of the main holy days. We will have a Christmas service in mid-December, a service on Ash Wednesday, and a service for Easter. Dates for 2018-2019 are: Thursday, December 6th @ 2pm (BCP Service followed by Christmas Tea); Wednesday, March 6th @ noon (BCP Ash Wednesday Service followed by lunch); Thursday, April 11th @ 2pm (BCP Easter Service followed by Afternoon Tea). All are welcome! Each year during Advent and Lent we often offer either a midweek Taize or Compline service. Taize is a contemplative half-hour service of song and prayer; Compline, sometimes called “bedtime prayers” is one of the Anglican tradition’s most beautiful, and best-kept, secrets – it is also a half-hour service of song and prayer. Please note that for Lent 2019 we will not have Taize or Compline, as we are running a Spiritual Practices & Faith Formation series instead (Tuesdays during Lent – March 12, 19, 26, and April 2 at 7pm in the chapel).